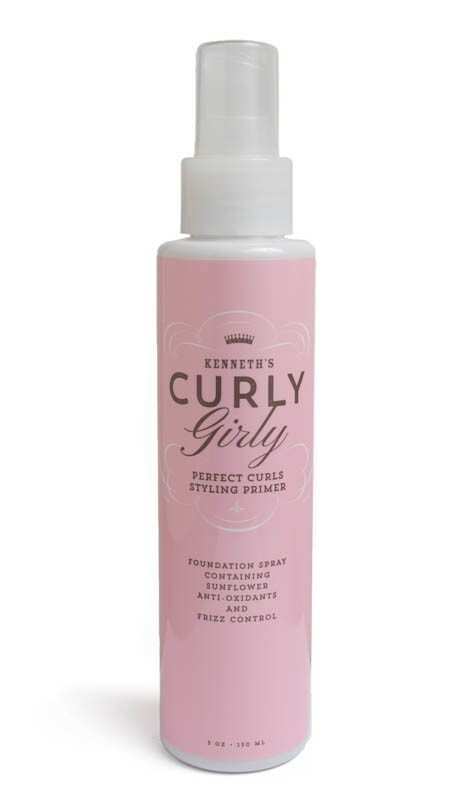 CURLY GIRLY Perfect Curls Styling Primer is a modern, multifunction foundation spray for curly hair. This spray infuses antioxidant sunflower extracts to protect hair from damage. Designed to smooth out the hair's cuticle like traditional makeup foundations do for the skin. Primer is a "BB" spray for keeping hair hydrated and controlled (not crunchy). Contains sunscreen.